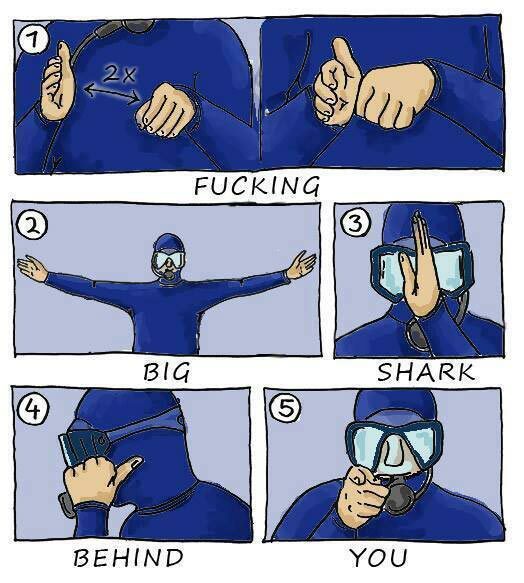 Big shark behind you: A signal they forgot to teach you in your open water class. Created about 5 yrs, 4 mths ago (December 13, 2013). Updated about 5 yrs, 4 mths ago (December 13, 2013).